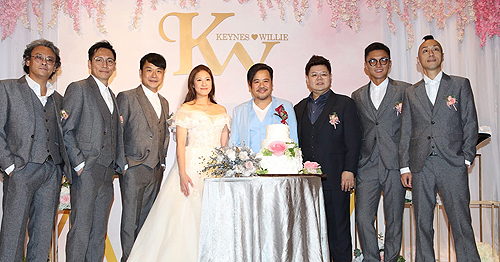 TVB actor Willie Wai (韋家雄) got married his girlfriend of one year, Keynes Cheng (鄧楚雅), today. 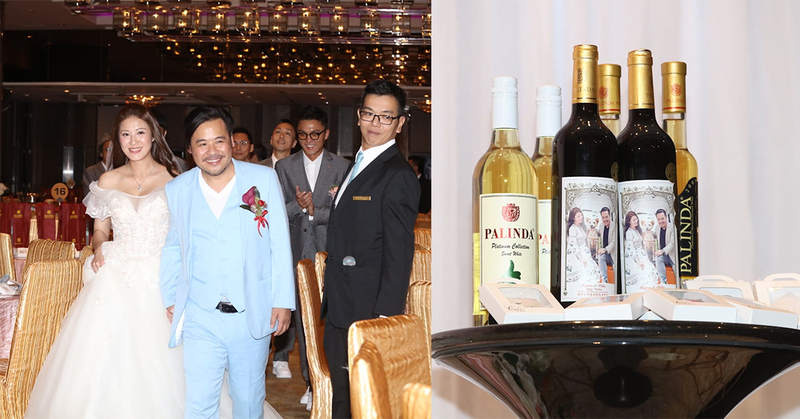 When the newlyweds greeted the press alongside their bridal party at the wedding banquet, they requested for Willie to kiss his new bride for over half a minute. 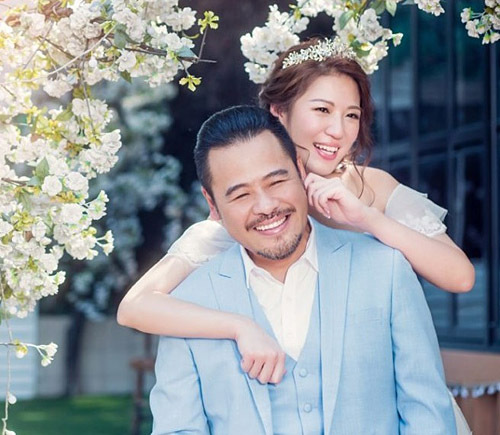 The 53-year-old actor expressed his love for his wife, who is dubbed as a “flower in the banking industry” due to her beauty. 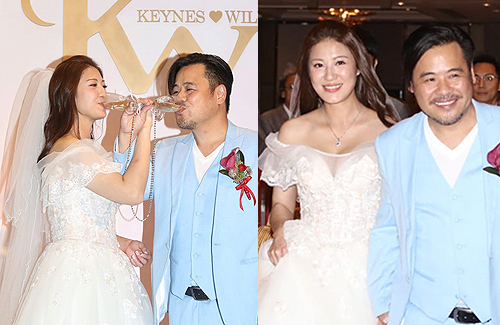 Keynes was smiling very sweetly throughout the entire party, especially when the couple fed each other cake and toasted champagne. When asked if he would be drinking a lot today, Willie responded, “Though I have a high drinking tolerance, I might still get drunk. But I purposely chose reliable groomsmen who can drink to finish the job for me!” Keynes expressed that she is not scared of Willie getting drunk and even offered to drink in his place when necessary. So what attracted the couple to each other? Since his wife is more than 20 years younger than him, Willie joked that it was Keynes’ looks that mattered the most. The bride had the same answer and even added that Willie is now worth 190 points in her heart. She believes that the number will continue to rise! 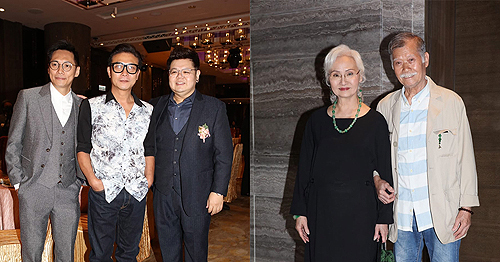 It was definitely an emotional day filled with love and happiness for the newlyweds. The fun will continue in their honeymoon commencing next week. Along with marriage, many were curious about their future baby plans. 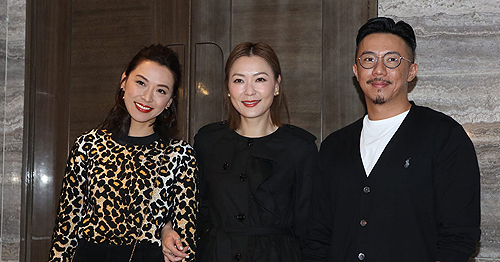 Willie responded that they love children and will definitely have children. But in the meantime, he really wants some alone time with his wife. Errrr…Happy for him, I guess? Congratulations to the happy couple. Everyone deserves to find love and happiness, regardless of theirs or their partner’s age or social standing. If it is true love, who are we to judge? He’s a very good actor, and appears young for his age. I am glad they both found love. I saw clips of him on utube, does seem like a nice guy. I remember how he was standing up for an foreign woman on the train while some asian guy was harassing her or something. Seems like a nice guy to have around. I can’t believe he has a 27 yo son from his first marriage. He doesn’t seem that old. haha lol….